From New York Times best-selling author Kylie Scott comes an irresistible new romance. I absolutely fell in love with Repeat. 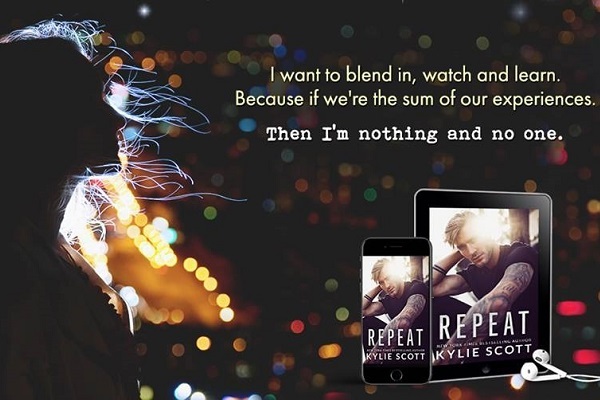 Kylie Scott wrote it in such a way that I was so invested in the characters I couldn't stop turning the pages to find out what was going to happen between Ed and Clem. Clem woke up in a hospital with no knowledge of who she was or who anyone around her was. She was attacked one night by an unknown person. While trying to figure out who she is and what her life was before the accident she finds the man who did her tattoo, who also is her ex-boyfriend. Clem has questions about who she was and who better to ask than Ed? Anyone would be better than the ex who hates her. Or does he? Clem isn't the same person she was before the accident. Can Ed learn to get past the past and focus on the future with this new version of Clem? Repeat is a must read. I loved every minute of this read! I need to make a confession – amnesia storylines and I don't generally mix. It doesn't matter the medium: books, shows, or movies. I always end up getting frustrated. 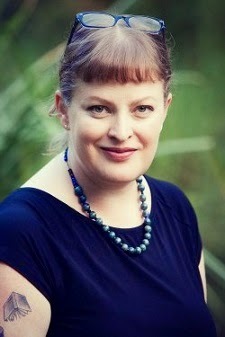 But since Repeat was written by Kylie Scott, I was more than interested to see her take on this premise. Clem has no memory of who she was, recognizing no one from her past, even her sister. The author did an excellent job showing how frustrating, terrifying, and hopeless this situation is for Clem, as she processed being an amnesiac and what that means in the long-term. Following the clues of her past, a tattoo leads her to a local tattoo artist, hoping to discover herself in the process. Sparks ignite and recognition dawns when Clem meets Ed, only she doesn't realize he is her ex or how/why they broke up in the first place. Ed is understandably leery after what had happened between them, their interactions rocky at best. But almost immediately, Ed recognizes how much Clem has changed, with their connection seeming stronger than ever. Repeat follows the journey as Clem tries to reclaim who she is. Not only reclaim herself, but come to realize she's better as the changed person she is today, than the person she would have been had she not lost her memory. The character growth was raw and real. The connection between Clem and Ed was off the charts. The only con for me simply was because I felt the story was rushed in places, especially the ending. I'm a sucker for a novel on the shorter side, but I found some places dragged, which meant there was less time spent on other things I felt were important. Highly recommend to fans of the author and contemporary romance and second-chance romance. 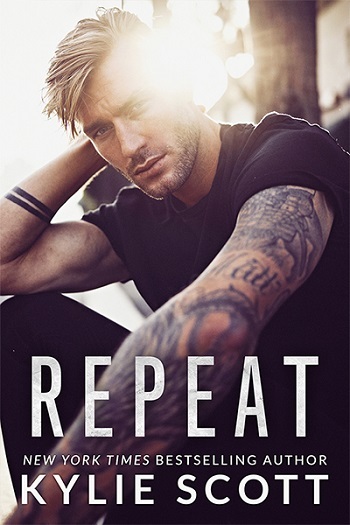 Reviewers on the Wicked Reads Review Team were provided a free copy of Repeat by Kylie Scott to read and review for this tour.